LS2 RGB/W LED Receiver can control RGB or RGBW LED Flex Strips of either 12 or 24VDC (low voltage). 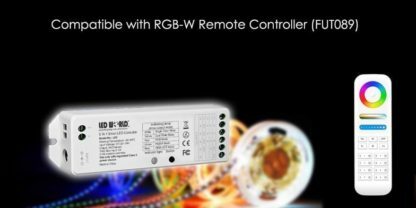 LS2’s receiver can be used simultaneously to have multiple rolls RGB/W LED Flex Strips via auto-synchronizing RF. 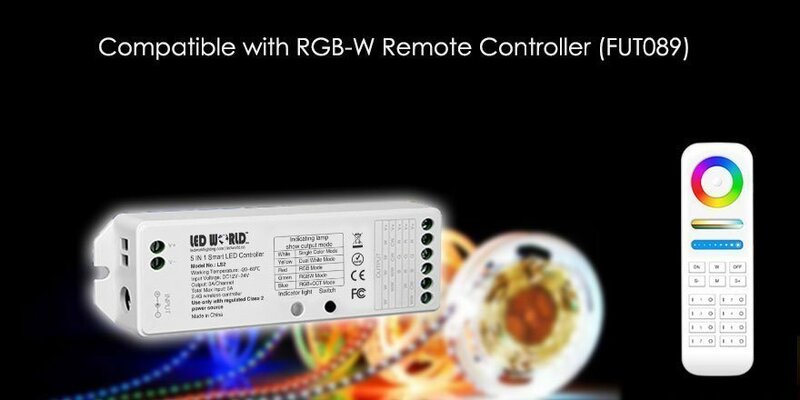 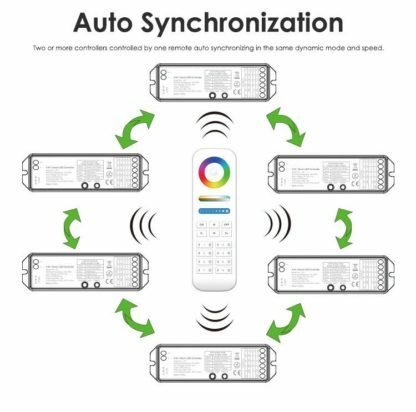 The wireless controller and wireless remote can control (5 in 1) RGB, RGBW, CCT, RGB+CCT and single color LED strip. 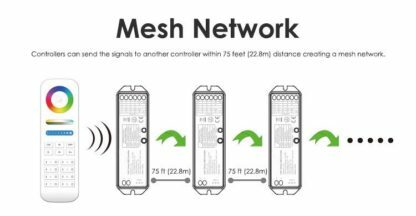 The LS2 controller features mesh network; repeats radio signal every 75 feet line of sight and auto-synchronizing function, allowing for long distance RF signal. 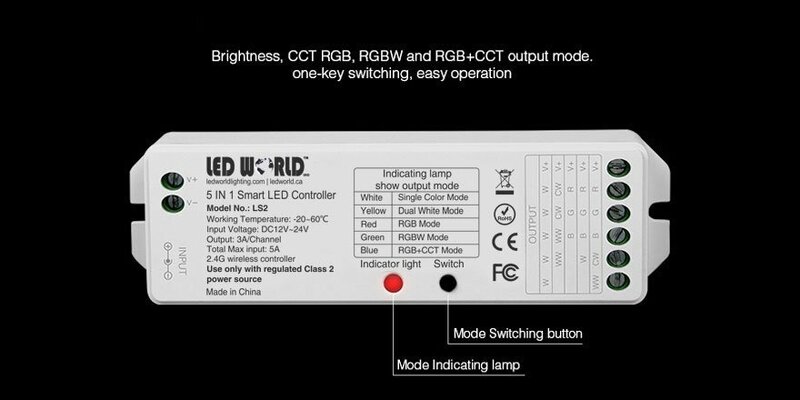 LS2 controller uses 2.4GHz wireless technology (FCC). 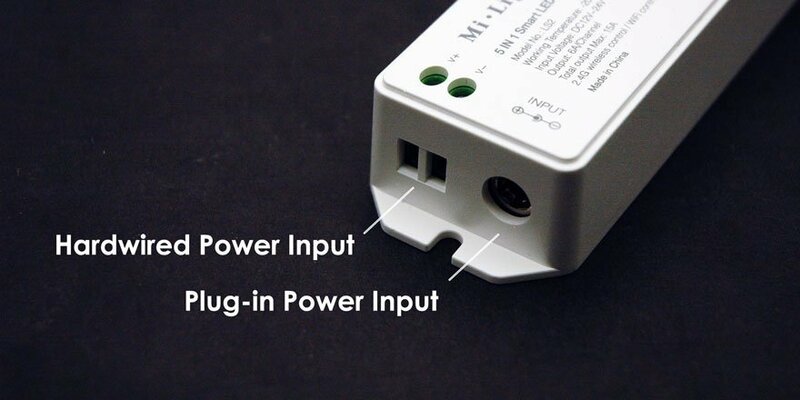 It consumes less power, transmits signal over a long distance and it is anti-interference. 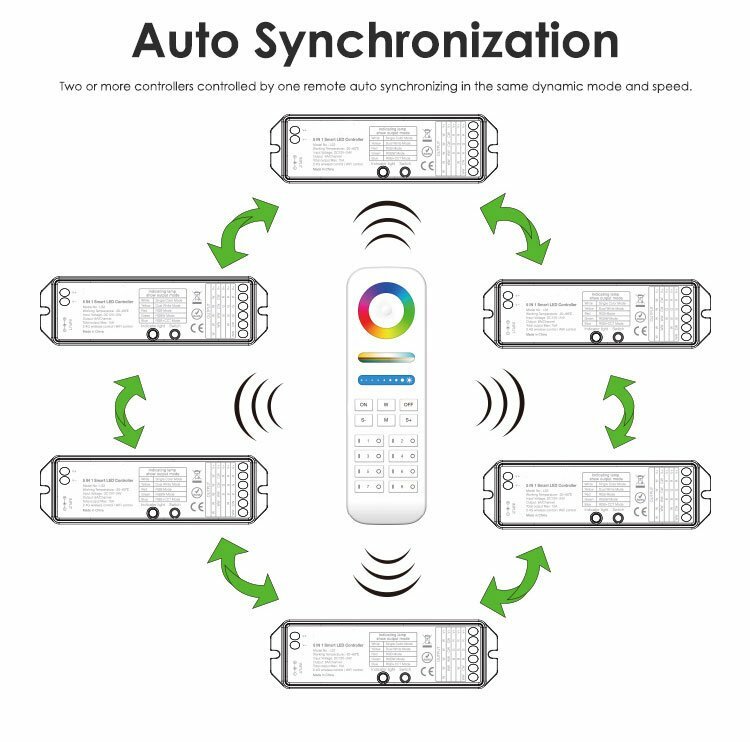 Note that the LS2 receiver requires a master controller FUT089 Remote Controller. 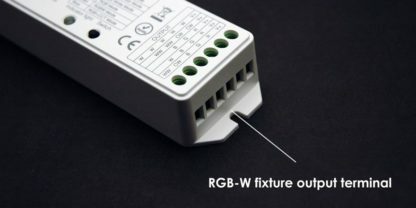 Important note: Maximum length of RGB or RGBW LED Flex Strip attached to LS2 Receiver should not exceed 20 linear feet (due to voltage drop resulting in color loss). Important! Use the LS2 only with regulated Class 2 Power Supplies. 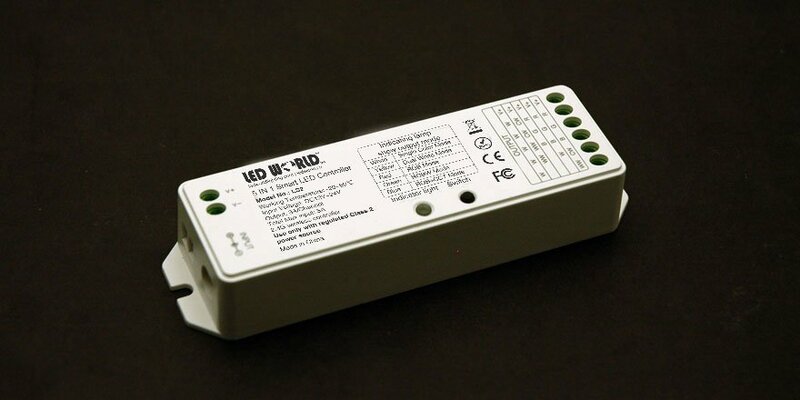 Failure to do so limited warranty will be void. 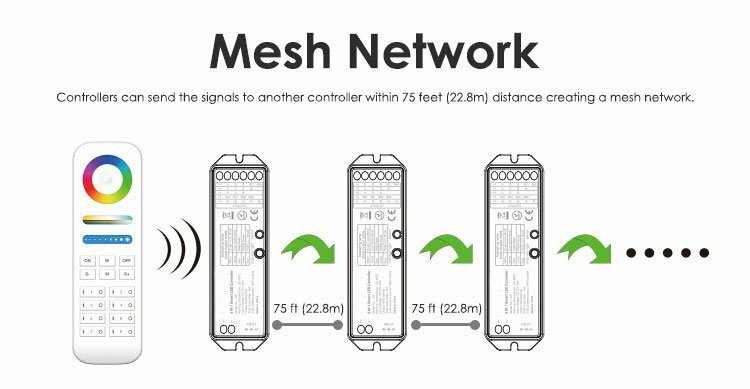 Transmits signal over longer distance up to 22.8m (75ft) clear line of sight. 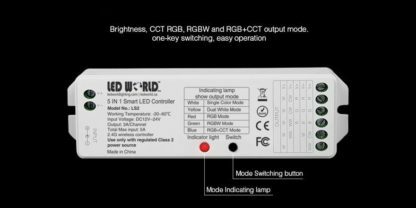 96 Watt G961DA-240400-1 LED Class 2 24VDC Power Supply: AC/DC adapter, compact desktop sized, power supply for indoor use (dry) only. 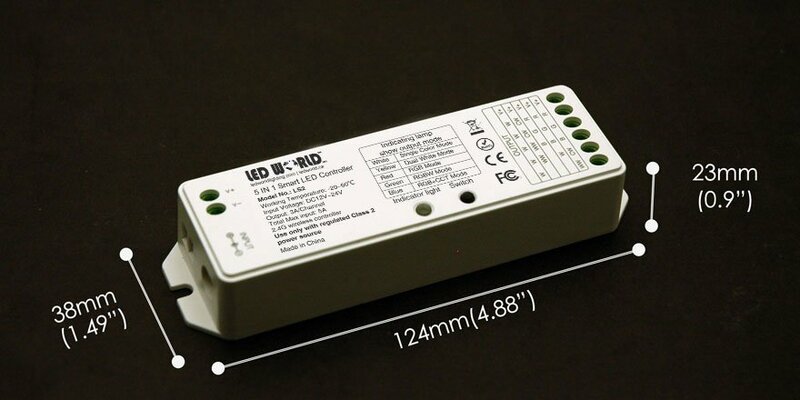 Features an input voltage of 120~240VAC, 50~ 60Hz and comes with a barrel type (coaxial) output connector (center is +).